Some of you may remember my list of ‘resolutions’ for 2014, typed in a fit of energy and self-righteousness several weeks ago. Some of them have been a complete and utter failure…Let’s be honest, I haven’t read a single book from my Christmas tree. I am still determined to delve into my Encyclopaedias, but it may have to wait for a time this year when I don’t have quite so much going on. Riiiight…. Getting The Paperbook Collective printed in colour and finding advertising are still very possible, but they are a slow burn project that probably won’t take off until later this year. However, I am very happy, no, completely ecstatic to announce that resolution number five is well and truly underway! Believe it or not, I have managed to start a Book Exchange in my city! 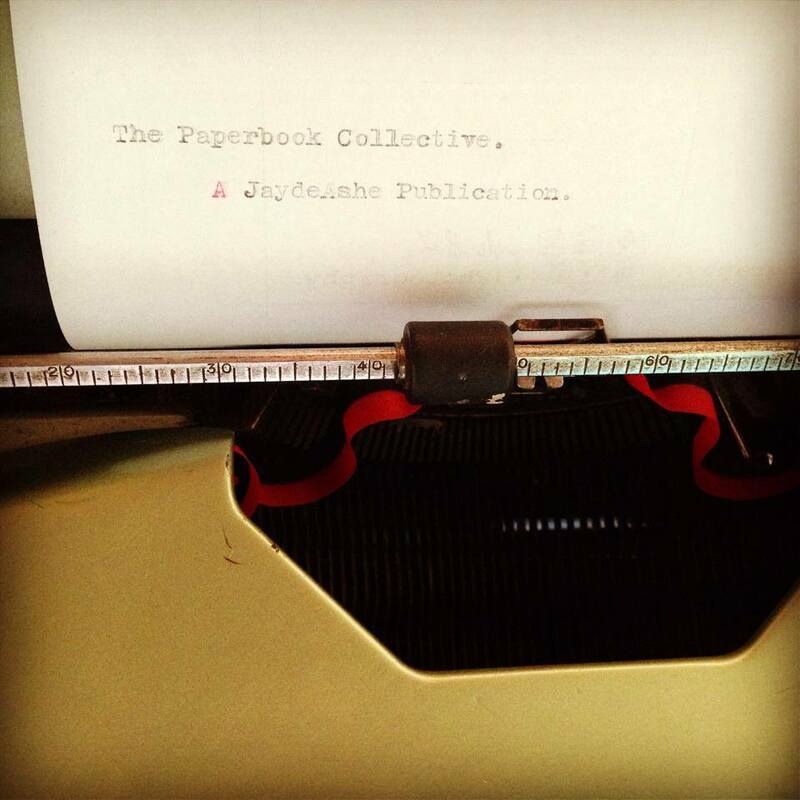 I wrote about the tragic closure of two of our bookstores in Issue Six of The Paperbook Collective. In a city of roughly 68 000 people we were left with a total of one bookstore, and no second hand options available. You can imagine my dismay. Now, however, I am sitting in a room packed with books, absolutely revelling in the feeling. 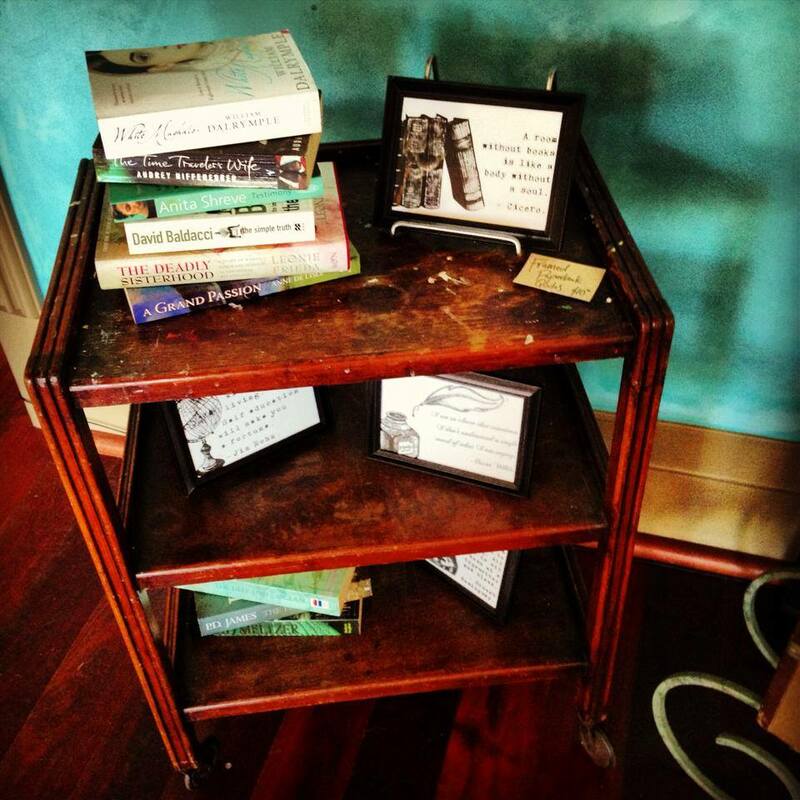 People have really jumped on board with this project of mine, donating enough books to allow us to establish the beginnings of a healthy looking Book Exchange. Of course, me being me, I have already raided the books and now have dozens lined up to read, but that is the beauty of it. Ultimate happiness. As this is a community based project, I have no intention or desire to make money from it. The closure of the other two bookstores have demonstrated that relying on a bookstore for an income is the way to headaches and heartbreaks. 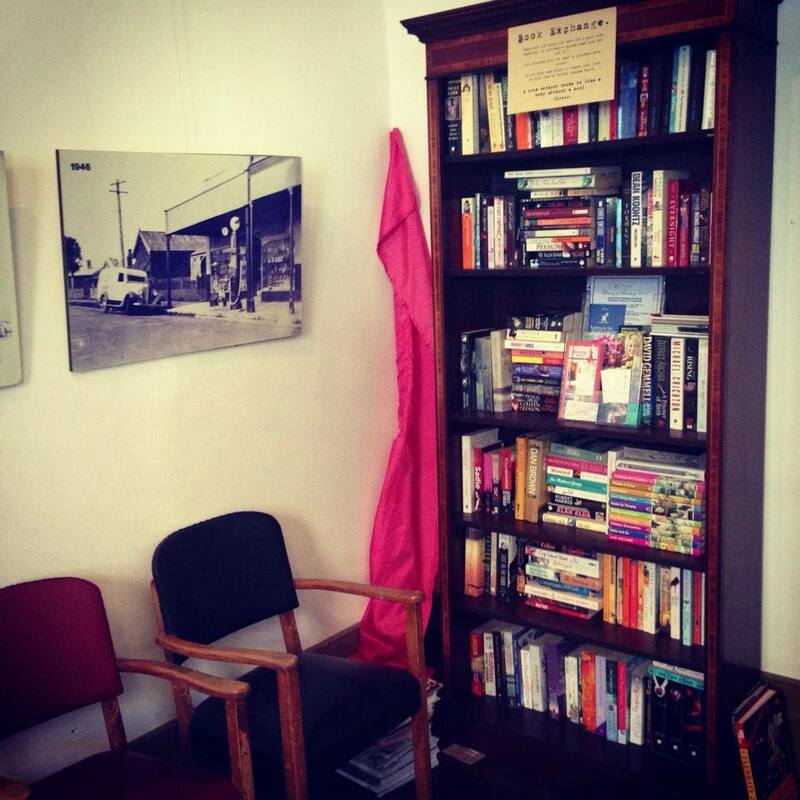 Instead, this is a not-for-profit initiative that relies on donations of books. 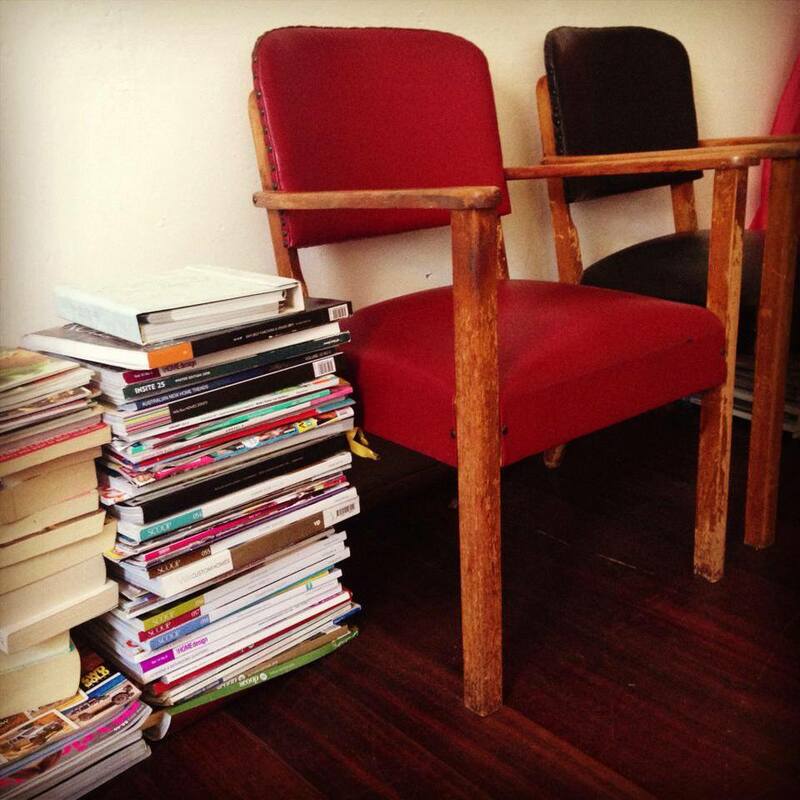 We are also keeping it insanely cheap to use – a gold coin donation to swap a book or $5.00 to purchase one outright. All proceeds then go towards buying new books, keeping the project flowing and self-funded. So there you have it! 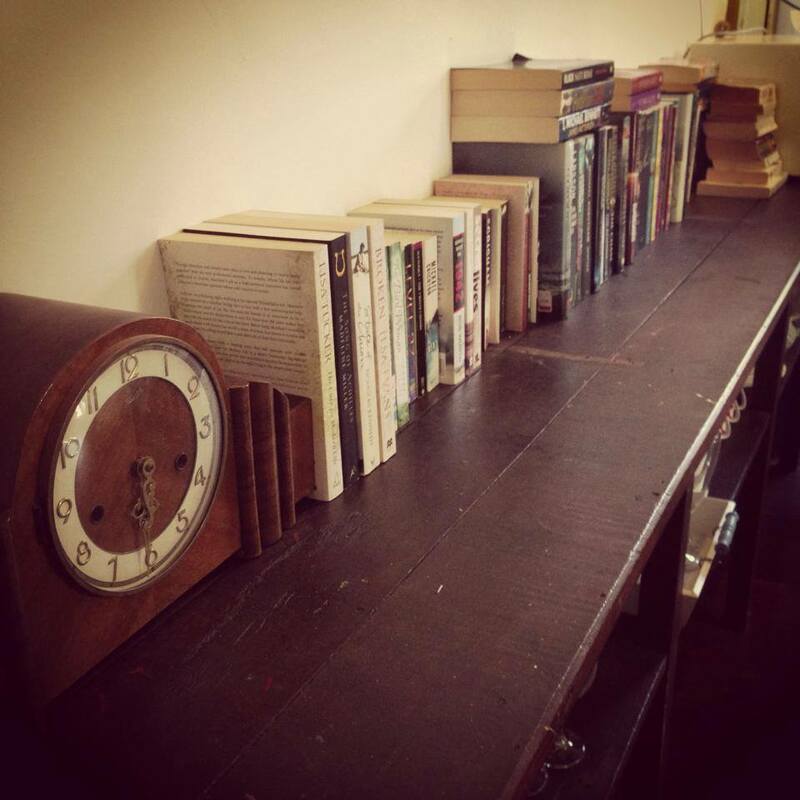 I am hoping that this will demonstrate the ability of second-hand book exchanges to stay up and running. I am still fighting the good fight against the invasion of the electronic reader, by providing people in my city with the means to access a continual supply of real books for less than the cost of downloading one to their Kindle. Of course, The Paperbook Collective has pride of place in my little store, along with a list of contributors so people can marvel in the diversity of our little magazine. And marvel they do. I hope to have the zine version of Issue Seven completed in the next few days, so if you would like to order one please feel free to do so! Don’t forget that it is an open donation – all you have to do is pay for your postage and then donate whatever you feel that the magazine is worth to you. Additionally, submissions are now open for Issue Eight! They will remain open until the 20th of February, so you have plenty of time to get something together and send it on through. Last but certainly not least, something wonderful happened to me yesterday. But one customer can walk in and completely change your day, as happened to me yesterday. An elderly woman with a walking stick came into the store, and proceeded to browse around for a while. We chatted about inconsequential things. I could tell immediately that she wasn’t in the market for any of my products, rather she had just come through for something to do. Still, she had a good look around and when she came across The Paperbook Collective section, with plenty of my signature typewriters, the woman turned to me and changed my day. ‘Would you like a typewriter?’ she asked. ‘Would I ever!’ was my excited reply. She went on to tell me that they had an old typewriter sitting in their garage at home. Her husband had been a pharmacist and he still had the same typewriter he used in his shop, some forty or fifty years ago. 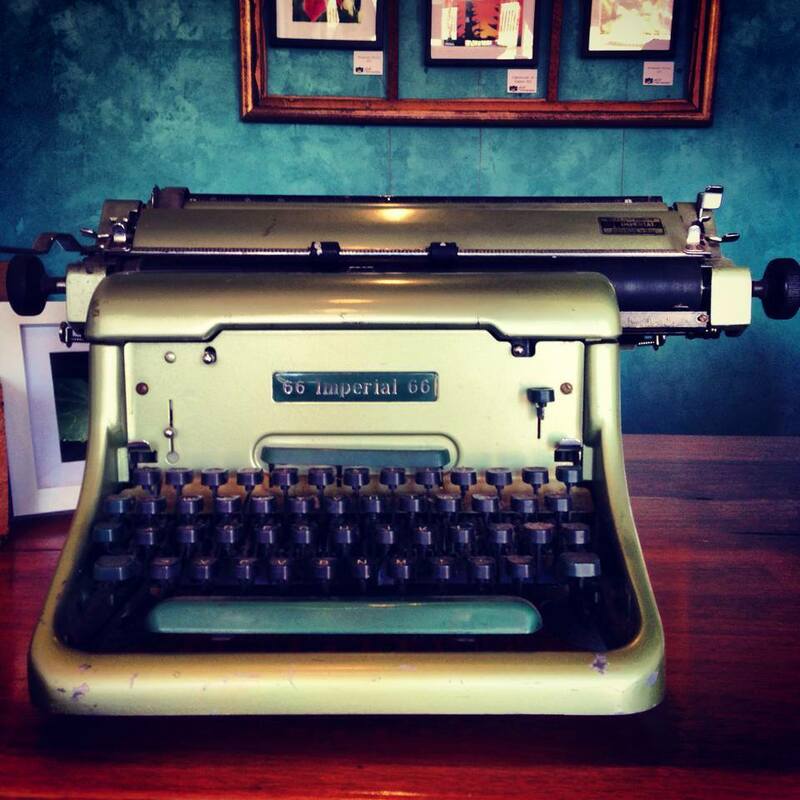 I stumbled over my words as I explained my love of typewriters, adding that I would gladly pay for it. She left, telling me that they would drop it off at some point for me to take a look at. I confess I didn’t really believe she would be back – things like that just don’t really happen, do they. So imagine my delight when no more than 10 minutes later the gentleman in question tottered through the door carrying this glorious thing. I nearly wept. He went on to tell me that he believed it had no monetary value. I begged to differ. We agreed that I would keep the typewriter in the shop, and perhaps one day soon they could come and choose one of my photos to exchange it for. This is the type of business I love to do. Oh, and by the way, it still works perfectly. I am one happy lady right now. It looks absolutely beautiful on my desk, and with a little elbow grease and love I will have it looking as good as new. So everyone who orders a copy of TPC can now expect a hand-typed letter from me…whether you want one or not. Thanks Princess! Yes, the typewriter was a huge score, it is making me so inspired! Can you still get ribbons for typewriters? That might be a challenge. Looks good though. Hi Andrew, yes I have looked it up online and shouldn’t be a problem. Put it this way, they are NOT cheap, but worth it 🙂 Although I will just use the current one, although it is a little dry it still works well enough for the moment! But it does need a new ribbon. I’m sure you must be able to buy one somewhere: there are BOUND to be specialist suppliers, no? Fingers crossed, Jayde. Very happy for you that you have another string to your bow, you clever workaholic! Am going to be putting fingers to keyboard this week in hope of coming up with something t submit. Yes, I have found an online supplier, now I just have to save up for the ribbon! They are a bit expensive these days 🙂 I look forward to seeing what you come up with for issue 8 MR! Congratualations Jayde…I think you might want to search through Google to find a ribbon for your new typewriter…maybe e-bay? Great go with everything and love your book exchange! Fingers crossed for you! And a big yeah for your possible efforts! I want to come up with something a little different for February (which means I better get the show on!) I’m doing better health-wise, still have a couple of issues to take care of, but have a lot more energy. I’m thinking that warmer weather will be of some health, unlike you, here the weather is grey and wet wet wet! Portland has one of the only typewriter repair shops. I am sure you can order ribbons and such from them. Glad things are going well. Oh thanks for the suggestion! I have found a few supply shops online, but I would also love to find a typewriter repair shop in my area…not sure if any exist though! Western Australia is probably not as good as America in that regard! Wonderful – I regret getting rid of my old typewriter- in a local village here we have a book exchange in a small telephone box – the smallest library 🙂 it is a great idea for local communities that have lost there book stores and libraries. Our town has lost both it’s bookshops, there is a big newsagents that sells books, an Oxfam Book shop and a cut price book store/gift shop and that’s it – but I have shelves of unread books to get through! My old typewriter was passed down to me by my Great Aunt – I also played with it as a child, but it was well made and I wish I had kept it for ornamental desk value nowadays. Yes it is a cool phone box and good use of a disused – out of action – telephone box. How absolutely wonderful, there is a beautiful story in that exchange, I love how she just knew you were the one to pass it on to. What kind of life has it had this typewriter, what stories has it already told? And what a wonderful new life it is embarking on now. Congrats on the exchange and the typewriter! I marvel at all the stuff you’re up to! Thank you! Yes, the projects I set out on verge from the achievable to the insane…I guess you have to keep having a go don’t you! These are wonderfull news! When I am at your country, I’d love to donate some books for you, if there is an option like that. I don’t want anything in return, just people to READ! Did you have an Imperial 66 John? We had a beautiful blue typewriter when I was a child, looong before computers hit the scene. As soon as I started using this one the memories flooded back – the noise, the force with which you have to press each key, the violence with which the ‘Enter’ occurs! In fact the term “carriage return” described the way the thing threw itself back to begin a new line. We had an Underwood. This sounds fantastic Curt! I absolutely love the idea of giving away books on a Bike-Book Mobile, how amazing would that be! I really hope it goes well, 1000 books would be very impressive. And yes, while the Christmas Tree idea has well and truly flopped, keep the Encyclopaedia post in the back of your mind…a collaborative post will be on the horizon very shortly! What a wonderful story, or should I say, stories 🙂 The typewriter is beautiful! Next PostI Need Your Imaginations!